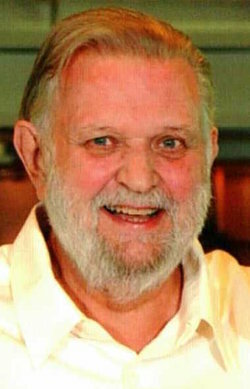 Russell "Tony" Swartz (Jolly) passed away in 2016. Russell A. Swartz, 73, of Kansas City, died Sept. 27, 2016. He is survived by wife, Helen, daughter, Kathryn Rees (Nick), and brother, Dan Swartz. Re: Russell "Tony" Swartz (Jolly) passed away in 2016. Tony (Russell A.) Swartz, 73, died on Sept. 27, 2016 from complications due to a lung biopsy done in May of this year. Tony had many roles in life, but he will be most fondly remembered for those of husband and father. He is survived by his wife of 46 years, Helen; daughter, Kathryn; son-in-law, Nick Rees; and brother, Dan Swartz. He is preceded in death by father, Russell H.; mother, Elaine M. (Pickrel); and sisters, Suzanne Behal and Judie Lester. Tony was born and raised in Davenport, Iowa and a graduate of New York University School of the Arts, with BFA and MFA degrees. From there he pursued an acting career in theatre and television. He was a member of Screen Actor’s Guild and Actors’ Equity Association. His numerous theater credits include productions with The Tyrone Guthrie Repertory company in Minneapolis; Broadway and off-Broadway shows in New York; and the Mark Taper Forum in Los Angeles. 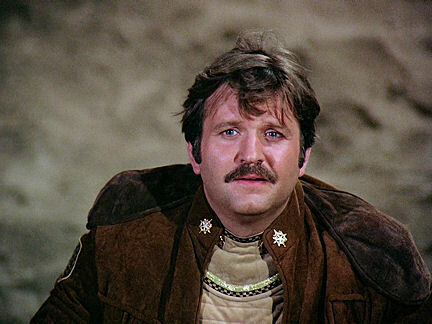 His television credits include roles in “The Golden Girls,” “Kojak,” “James Michener’s Dynasty,” and, most notably, a series regular role as Flight Sergeant Jolly on 1978’s “Battlestar Galactica.” He appeared in the feature films “Lover Boy,” “Xanadu,” and “Won Ton Ton,” among others. Tony was an avid reader, history buff, New York Times crossword fiend, and accomplished chef. We will dearly miss him (as well as his cooking). His passing leaves a hole in our hearts. He was beloved. "Well, if the Commander's buying, I'm drinking." "If anybody's buying your drinking, Jolly!" Sorry to hear this. Thanks for sharing. Always enjoyed his work. May choirs of angels sing thee to thy rest, Tony! Antwaan Randal El is no name for a football player! It's a name for a Star Wars Character!! Can't you just hear Obi Wan saing "A young Jedi named Antwaan Randal El, who was a pupil of mine..."
What a loss. I always really liked his portrayal of Jolley in the series, reminded me of one of my uncles. So many of the actors I've grown up watching have been passing on lately, makes me feel old. "Friend? Oviners have no friends!" That's a shame. Tony was one of just a handful of the cast that I have never been able to get for my autograph collection. In fact, I've had a "4-in-1" 8x10 with Dirk, Richard, Herb, and Tony all on that was only missing Tony's signature.